After first writing “just charlie” on mix tapes distributed in Washington D.C. in the late 1990’s, the name stuck. 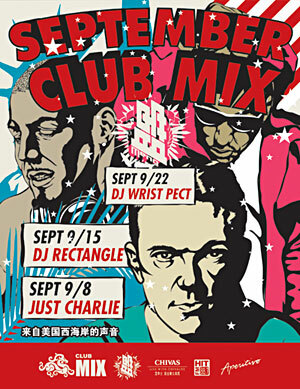 15 years later, Just Charlie is in Asia opening for the likes of DJ Shadow and DJ Krush while forming new crews and events like Dojo and Disco Death in China’s heartland of Chengdu – home to 14 million and one of the fastest growing cities in the world. 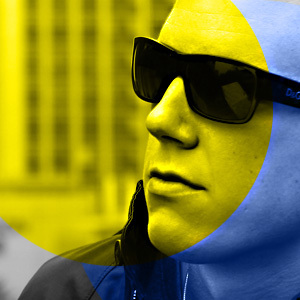 A turntablist from the beginning of his DJ career, Just Charlie switched to Serato Scratch Live upon its release in 2005 and since then has grown to become a multi-genre DJ known to span a dozen musical styles in a single night. Scratching and mixing while deftly maneuvering through disparate styles of music is where Just Charlie truly shines. Over his 14 year DJ career he’s recorded and released over 20 mix tapes, 10 of which are available for free download on his website. Over the last decade they’ve together accrued over 25,000 downloads. In addition to producing mix tapes, Just Charlie has produced music for some of China’s most prominent rappers, including Kafe Hu, one of mainland China’s rising rap stars also hailing from Chengdu. In 2011, the Just Charlie & Kafe Hu collaboration “Urban Youth” was featured on BBC’s Radio 1.